BK Lassie 447 is our first heifer of the calving season. She is by Connealy Confidence 0100 and is out of B&K Susie 317. Connealy Confidence is out of Connealy Tobin and Becka Gala of Conanga 8281. Confidence is the high-selling bull from the 2011 Connealy sale and with his 13 for CED, 40 $W and nearly 80 $B, he’s one of the most unique bulls available in the Angus breed. His blend of style, calving ease potential, genomically-enhanced carcass numbers and a Thunder X Bextor dam that’s truly a model Angus female make Confidence deserving of heavy sampling. She was born 12/23/14. The kids named her Daisy. Daisy is owned and shown by Anna. Click here for Daisy’s pedigree info. BK Christmas Eve 448, “Winter,” was born 12/24/14 and is by S A V Platinum 0010. Platinum was one of the featured AI stud prospects at the record setting 2011 Schaff Angus Valley Sale in ND.He offered one of the largest spreads for birth ratio to weaning ratio of his entire calf crop. He began with a 77 pound birth weight and weaned at nearly 1000 pounds. A long bodied, deep ribbed bull, he should sire the “keeping kind” of females. 448’s dam is BB Eve 4016, a daughter of Expand, Expand was the second highest selling bull of his calf crop at the Express Ranches bull sale and the top-selling bull of the Toebben Triple T Dispersal, Expand ranks among the top 30 proven sires in the Spring 2006 NSE Report for IMF EPD offering the Number 3 YEPD, the Number 4 WEPD and the number 3 $B among proven sons of New Design 1407. 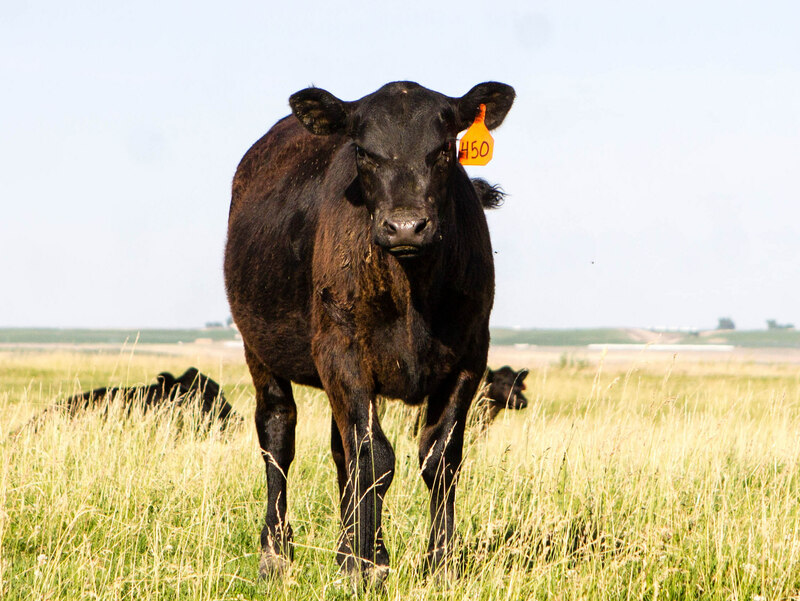 Expand ranks among the top 1% of active Angus sires for $B index and ranks in the top 3% for YEPD, IMF and $F index while ranking in the top 5% for WEPD and in the top 15% for $G and the top 20% for $W index. Winter is owned and shown by Kaine. Click here for pedigree info. 450 is going to be a phenomenal heifer by Connealy Combination 0188, Son of the Rare and Popular Connealy Consensus make him an Outcross to many. He has a big Time Birth-to-Yearling Spread. He has elite Genomically-enhanced Carcass Predictions. Combination’s dam is out of a Connealy Tobin cow. 450’s dam, B&K Pride 342 is a great producing cow by A&B Krugerrand 1200. Click here for pedigree info. 451, “Dark Night,” is a great heifer by Connealy Capitalist 028 and is out of an EXAR Expand 1241 daughter. Capitalist will add muscle and base width like no other. Truly 3 dimensional. Siring calving ease with lots of stoutness and power. Jerry Connealy stated Capitalist calves are one of his best sire groups and will definitely be used heavily again. 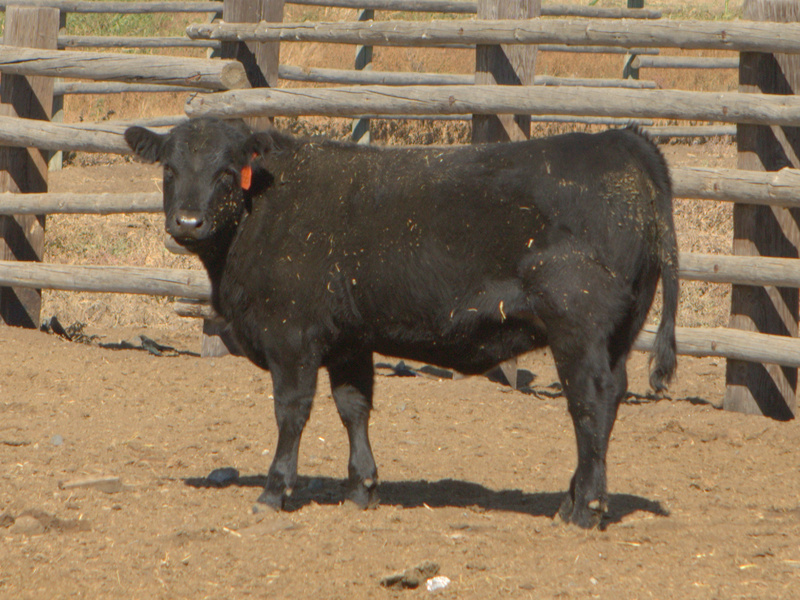 One of the most highly sought after bulls in the Angus breed. This heifer is out of our Pathfinder cow, BK Belle 918. 918 is by our herd bull BK Equinox 507. Dark Night is owned and shown by Kade. She was born 12/26/14. Click here for pedigree info. 452 is a fancy heifer calf by S A V Platinum 0010. 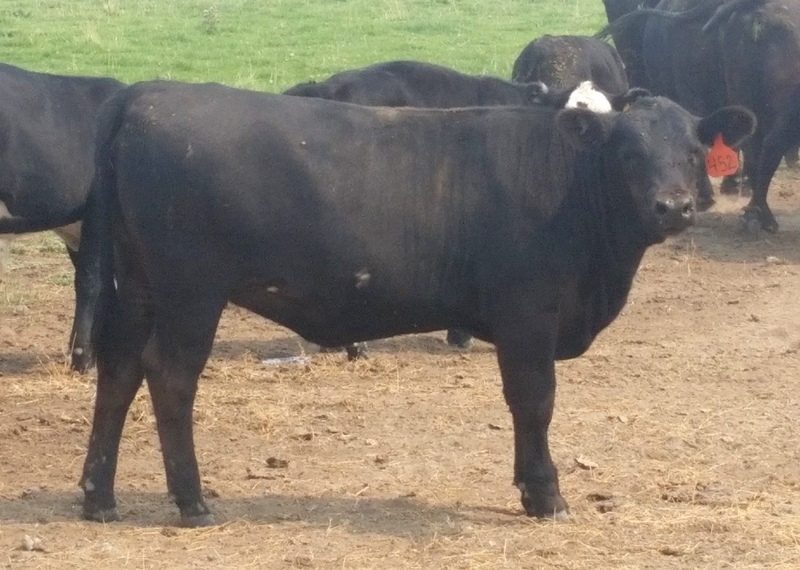 Platinum was one of the featured AI stud prospects at the record setting 2011 Schaff Angus Valley Sale in ND.He offered one of the largest spreads for birth ratio to weaning ratio of his entire calf crop. He began with a 77 pound birth weight and weaned at nearly 1000 pounds. A long bodied, deep ribbed bull, he should sire the “keeping kind” of females. Her dam is BK Susie 721, a daughter of B/R Frontrange 052. She was born 12/27/14. Ben named her “Maddie.” Click here for pedigree info. 453 is another fancy heifer calf by S A V Platinum 0010. 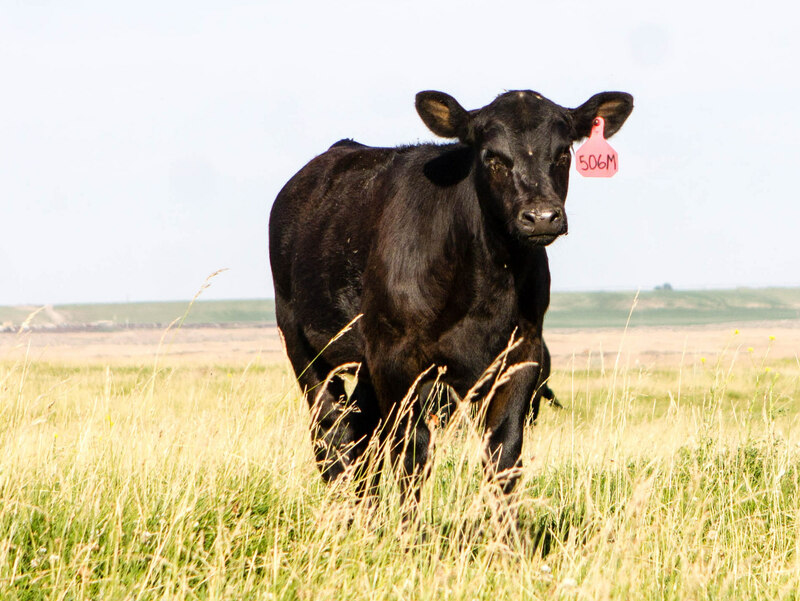 Platinum was one of the featured AI stud prospects at the record setting 2011 Schaff Angus Valley Sale in ND.He offered one of the largest spreads for birth ratio to weaning ratio of his entire calf crop. He began with a 77 pound birth weight and weaned at nearly 1000 pounds. A long bodied, deep ribbed bull, he should sire the “keeping kind” of females. Her dam is BK Horseshoe Lassie 722, a daughter of EXAR Expand 1241. She was born 12/27/14. Ben named her “Tai.” Click here for pedigree info. BK Susie 455 is by SAV 004 Predominant 4438 and is by an EXAR Expand 1241 daughter. Predominant is acclaimed by many as the best “004” son in the industry! Predominant progeny are moderate framed and muscular. He sires extremely easy fleshing cattle. His offspring have dominated the Peak Dot Sales where his daughters are now the talk of the industry. Predominant offers more carcass merit than most sires in the 004 line. Predominant has stood the test of time and continues to be one of the most popular SAV bulls in the industry. Expand was the second highest selling bull of his calf crop at the Express Ranches bull sale and the top-selling bull of the Toebben Triple T Dispersal, Expand ranks among the top 30 proven sires in the Spring 2006 NSE Report for IMF EPD offering the Number 3 YEPD, the Number 4 WEPD and the number 3 $B among proven sons of New Design 1407. Expand ranks among the top 1% of active Angus sires for $B index and ranks in the top 3% for YEPD, IMF and $F index while ranking in the top 5% for WEPD and in the top 15% for $G and the top 20% for $W index. She was born 12/30/14. Click here for pedigree info. BK Lassie 456 is a great heifer that is easy on the eyes, she is by Connealy Combination 0188, Son of the Rare and Popular Connealy Consensus make him an Outcross to many. He has a big Time Birth-to-Yearling Spread. He has elite Genomically-enhanced Carcass Predictions. Combination’s dam is out of a Connealy Tobin cow. 456’s dam, BK Lassie 912, is by RDDA Overload 2437R. Overload was bred by Vermillion Ranch, MT, and was the exciting $20,000 high seller at the 2006 Deiter Bros. Sale, SD. He posted a 119 YW ratio and had a 14.9″ REA. Overload is an extremely stout and heavily muscled bull! He has 6 stars for GENESTAR. Click here for pedigree info. Meacham Loud 5006 is Jaxsen’s heifer out of Noisy. This is a fancy little heifer out of a daughter of SAV 004 Predominate 4438 and out of BK 9061 Thunderbird 308.